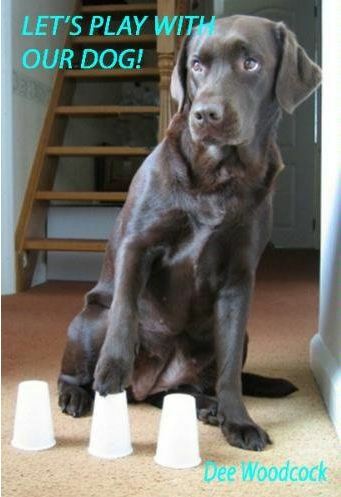 AUDIENCE: Very useful if you’re after some low-tech entertainment ideas for your dog on a rainy day. Also a useful and very handy (compact) book for play therapy if you are an behaviourist/specialist trainer. It was very short, so nice and portable if you wanted to take it along to customer appointments for training sessions. Some nice ideas, but the format is so small that the number of game suggestions is limited. It gives a great breakdown of the teaching steps for each game, including some good guidance on how to move to an intermittent ratio of reinforcement. The design is a little on the dull side. Perhaps the lack of pictures? Perhaps the fact that the few pictures that were in there were in black and white? Browse the Book Review archive. Genre: owner manual. Author: Woodcock Dee. Reading Level: Owners. Star: 2. Bookmark the permalink. Post a comment or leave a trackback: Trackback URL.